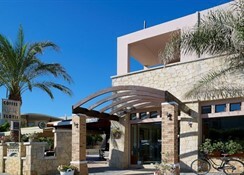 The Elotis Suites is a modern hotel on Agia Marina''s beachfront. This comfortable hotel is conveniently located in the town centre. 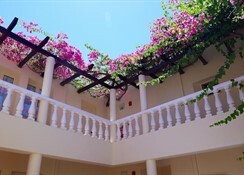 The Elotis Suites has 20 rooms and offers a seasonal swimming pool. The hotel also offers a kids pool, babysitting / child services and a dry cleaning service. 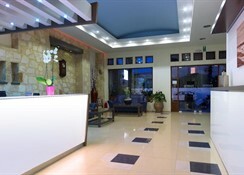 A laundry service, daily housekeeping and a playground are also available at the hotel. Fully air conditioned, rooms at the Elotis Suites feature kitchenettes with tea and coffee making facilities, coffee maker and refrigerator. A TV, a safe and complimentary toiletries can be found in each room of the hotel. There are also several rooms especially designed for families.